Here are the videos from this weekend! What an awesome experience! Thanks to everyone who came out to support our team! 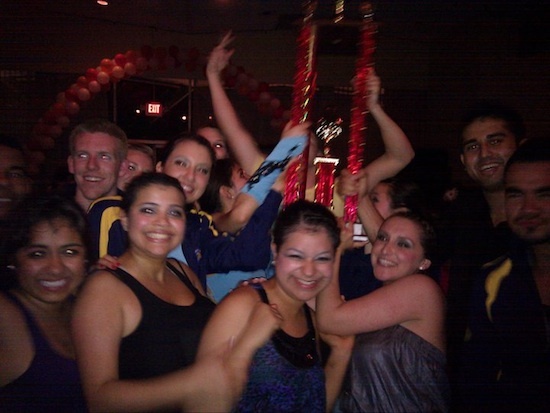 We won 1st place at the College Salsa Congress’ team competition! Thanks to everyone who gave us their support! We are proud to bring the competition trophy back to the North Bay! 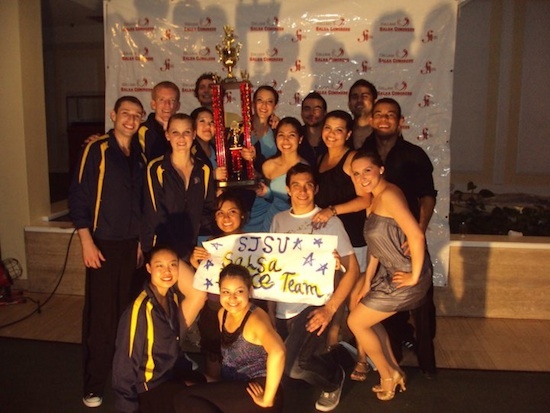 College Salsa Congress This Weekend! Are you looking for the salsa experience of a lifetime? Come join Spartan Mambo at the 4th Annual College Salsa Congress this weekend, down in Long Beach. You will learn cool salsa moves from world champions, enjoy performances & competitions, and dance until 2am in the morning. Afterwards, come party with salsa dancers from over 25 colleges and universities from around the US! The cost to attend is just $20 for the bus, and $20 for the congress entry fee (for students). That’s just $40 for an awesome weekend of dancing down in LA. Hotel included! Let us know ASAP if you would like to join us at the College Salsa Congress, space on the bus is limited! Come join us tomorrow at Jsmooth Salsa in Japan Town in San Jose for the debut of our new routine! Come join the Salsa Club this Thursday at Joe West Hall’s Campus Love Fest event in front of the Campus Village around 7pm. The Blue Team will be performing the old routine. Come check us out!